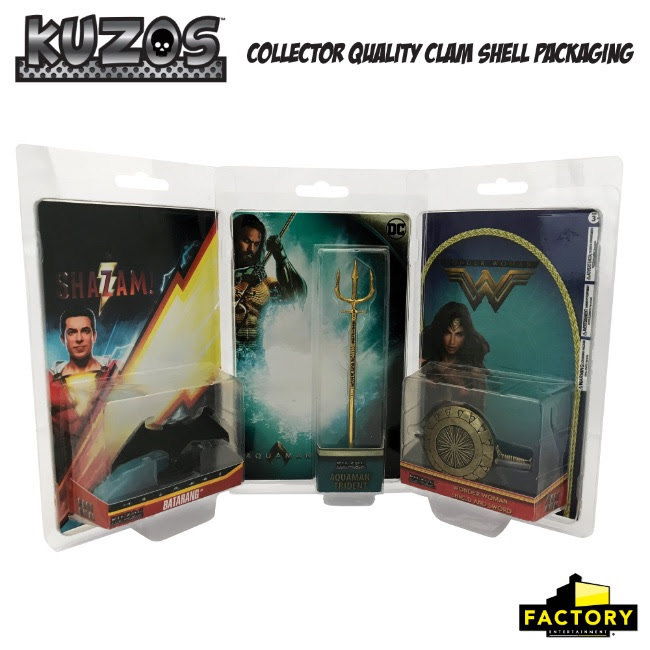 Concord, CA – Factory Entertainment, Inc., announced today that it will be unveiling its brand new line of miniature diecast metal pop-culture collectibles, called KUZOS , at New York Toy Fair on February 16, 2019. The first wave of KUZOS will consist of collectibles from Batman, Wonder Woman, Friday the 13th, Nightmare on Elm Street and Halloween. Future waves will feature KUZOS from Star Trek, Harry Potter, The Beatles, Looney Tunes and many more! Every KUZO comes in a collector quality clam shell package. For a museum style impact, collectors can display their KUZOS collection in a custom-designed, multi-tiered glass and acrylic display case. KUZOS will be available on Factory Entertainment’s website http://www.factoryent.com as well as from various online and brick and mortar retailers. Experience KUZOS in person during New York Toy Fair at Factory Entertainment’s booth, # 5206. Factory Entertainment, Inc. is a leading manufacturer and distributor of high-quality licensed toys, collectibles and home goods featuring a wide variety of entertainment properties and pop culture personalities, including Star Trek, Harry Potter, DC Comics, Game Of Thrones, The Beatles, Monty Python, Men in Black, Ghostbusters, Universal Monsters, Jurassic World, Back to the Future, Jaws, Friday the 13th, Nightmare On Elm Street and many others. For all the latest product information, please visit www.factoryent.com.